Margaret K. McElderry Books, 9781481403542, 336pp. In a futuristic landscape ravaged by war, a colony’s hopes for survival hinge on one teenage boy in this fast-paced, action-packed story. Desperate to prove himself after the accident that stole his memory, Querry is both protected and tormented by the colony’s authoritarian commander, his father. The only person he can talk to is the beautiful Korah, but even with her, he can’t shake the feeling that something is desperately wrong. Whatever is going on, Querry is at the center of it, for a secret in his past not only makes him a target of the Skaldi’s wrath, but the key to the colony’s future. Joshua David Bellin has been writing books since the age of eight (though his first few were admittedly very, very short). He is the author of Freefall, Survival Colony 9, and Scavenger of Souls. When he’s not writing, he spends his time drawing, catching amphibians, and watching monster movies with his kids. A Pittsburgh native, Josh has taught college English, published three nonfiction books (one about monsters! ), and taken part in the movement to protect the environment. You can find him online at JoshuaDavidBellin.com. "Debut author Bellin weaves a bleak postapocalyptic tale of survival against overwhelming odds, centering around an amnesiac teenager who plays a pivotal role in his colony’s attempt to stay alive." An amnesiac struggles to make sense of his place in a war-ravaged world where small bands of human survivors scramble to stay one step ahead of a menacing, body-snatching threat. "Tantalizing mysteries abound among the human and inhuman inhabitants of the bleak landscape, and the postapocalyptic plot is satisfyingly full of twists." 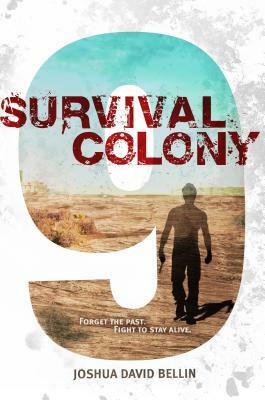 "Survival Colony 9 will appeal to sci-fi fans who will anxiously await the planned sequel." "This cautionary tale is filled with interesting plot twists, compelling characters, and gripping action. Fans of dystopian thrillers should find the conflicted protagonist’s story thought-provoking as he discovers his identity, establishes a new family, and finds hope in his desolate environment." "Set in a gritty post-apocalyptic world, SURVIVAL COLONY 9 is both an adventure and an exploration of what it means to be human. This debut novel made me feel almost as desperate to find out the secret behind Querry Genn’s existence as he felt. And what a surprise when everything was revealed!"